Waiting On Wednesday is a weekly event, started by Jill at Breaking The Spine, highlighting future book releases everyone is waiting on! 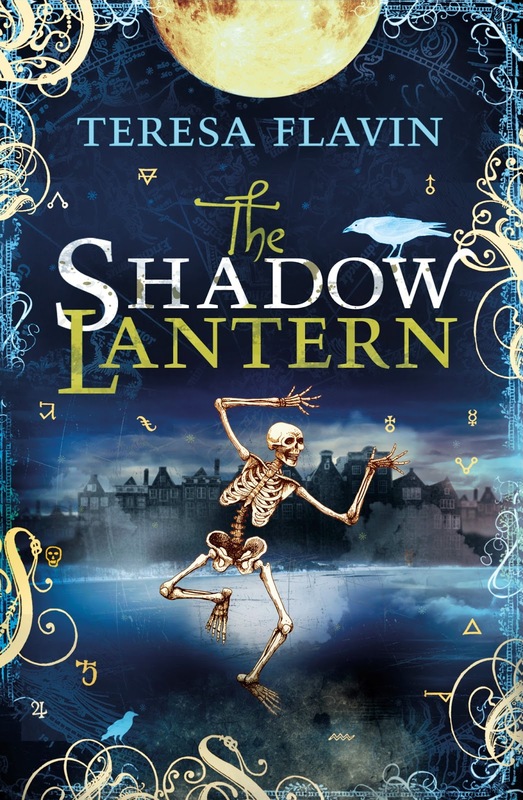 This week I am drooling over The Shadow Lantern by Teresa Flavin. This is for a slightly younger audience but I have read the first two books in the series and really enjoyed them. This is the cover reveal for this book too! The Shadow Lantern will be published on the 1st of May by Templar Fiction and is the final book in the trilogy. When a mysterious old oil lantern and a box of painted slides appear at Blackhope Tower, Sunni and Blaise are drawn back to the place where their adventures first began. On discovering that the slides conceal secrets about artist-magician Fausto Corvo, the pair find themselves caught up in a deadly pursuit. An old enemy is still tracking Corvo and he will stop at nothing to find him. Sunni and Blaise must fight to protect Corvo's secrets and rid themselves of Soranzo's evil threat once and for all. I have never heard of this book or series for that matter, but it sounds great and the cover is super cute! Enjoy, continuing on with the series. I haven't been here in awhile, Vivienne...love the look of your blog! The book has such a fun cover that I'm tempted to grab this one, although it's not my usual genre. Thanks for sharing. Haven't heard of this book but it sounds good. Thanks for posting this, Vivienne, and for all you do to support books (and their authors)! Sounds good and what a cute cover! Ooooh, I love that cover! I'd never heard of this series but I've just added the first book to my wishlist, great pick!